"Perfect Health is the Root of the Four Goals of Life" - Dr. Monahar explains how to align your individual career, affluence, fulfillment of desires and the path of enlightenment towards fulfillment. The Mother Divine Program - "Let Your Heart Sing" is featuring beautiful songs by current and former members of The Mother Divine Program, and learn about Mother Divine's Expansion Campaign. Unified Field Band - The new program "Let Your Heart Sing" is featuring the MIU famous "Unified Field Band" with an interview with their bassist, Fairfield's own James Moore. Listen in to the great songs that used to rock the dome. How the Cow can Heal the World - Hosted by ELI, this talk by Sustainable Living professor Dr. Thimmaiah, Ph.D., held everyone spell bound in Dalby Hall as he depicted the cow from Vedic times to the present as companion and healer of mankind. "Making Bridges to Peace - A Humanitarian Approach" by Dr. Kevin Cahill, MD was the event held May 20 in Dalby Hall at MUM in which this extraordinary humanitarian received the prestigious Maharishi Award. Yogic Flying Competition - Hear members of the Yogic Flying Club — Mustafa Nuristani, Dimitrios Karasis, and Andrew Rushing — discuss the event's relevance in the world today and how you can come and enjoy it. Held May 15 at 2 PM in the Men's Dome. Enlightened Leadership International - Mustafa Nuristani on the upcoming international teacher training course and other opportunities for those who wish to participate in the Enlightened Leadership International movement. Susan Watterson Poetry - Shared at the April Full Moon Celebration, her poetry was inspired by her close association with Maharishi and the knowledge he brought out during those years. Raja Ram on Paris - Raja Ram speaks on the unfortunate event in Paris in November 2015, and what can be done from the angle of Vedic knowledge to create peace and harmony. Buddhist Monk Chogyal Rinpoche - Chogyal Rinpoche visied MUM in December and speaks to us about his practices. Pulse Reading with Andrew Stenberg - The fascinating course is the topic of discussion with Andrew Stenberg, KHOE station manager Stan Stansberry and director of Continuing Education, Mary Leete. Dr. Bevan Morris on Religion - A beautiful talk on Christian teachings and other faiths in the light of Maharishi’s knowledge. Ramadan - Listen to Professor Evan Finkelstein and faculty member/alum Amine Kouider from North Africa talk about Ramadan, the one month tribute to living life in the Muslim world even saints would admire. Mastery of Yogic Flying - Dr. Peter Freund gives an exquisite presentation of the finer details of Yogic Flying highlighted by Maharishi's descriptions from Maharishi Ayurveda, Shiksha and Sthapatya Veda. Winter Celebration - Listen to highlights of the Winter Celebration and the surprising accomplishments at MUM, the Maharishi School, and Maharishi Vedic City this past season. St. Joseph of Cupertino - Dr. Freund talks on St. Joseph and the parallels to Maharishi's Sidhis program in relation to program in the Dome. Flying is all about Bliss. Sponsored by the Ultimate Flying Club. Emo Baer - Poet, author, and long time IA course participant Emanuel (Emo) Baer delights us with poetry and stories from his vast treasury of wisdom and experience. Vedic Living in a Modern World - Join Rajeswari Dr. Candace Badgett, Dr.s Peter and David Scharf, and Dean Cathy Gorini in a lively informative interview on the World Vedic Studies (WAVES) conference. 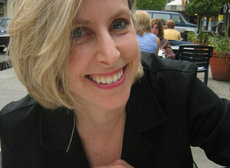 Anne Dietrich on GMOs - Hear the latest in the Truth and Labeling issues. Summer Celebration 2014 - Missed the Maharishi University of Management 2014 Summer Celebration? Tune in for highlights from this very inspiring celebration. Donna Jones and Rheanne Schlee - World Radio KHOE 90.5 FM presents the 2014 Valedictorian and Salutatorian addresses by Donna Marie Jones and Rheanne Schlee, two budding world leaders and recent graduates of Maharishi University of Management. Dr. Anil Maheshwari & Students - Hear Dr. Maheshwari talk about his new Book, "Business Intelligence and Data Mining Made Accessible," along with 2 of his very successful students. Robert Schneider and Cathy Gorini - KHOE's show "A Chat With The Dean" with Dean of faculty Cathy Gorini, features Dr. Robert Schneider, Dean, Maharishi College of Perfect Health. A great conversation, of course about health, and wonderful introduction to MUM's special guest speaker Monday May 5th at 8 PM in Dalby Hall. Craig Pearson and Cathy Gorini - Executive Vice President Dr. Craig Pearson interviewed on KHOE's "A Chat With The Dean" with Dr. Cathy Gorini on his new book "The Supreme Awakening - Experiences of Enlightenment Throughout Time, and How You Can Cultivate them". Craig Pearson - The book "The Supreme Awakening", Experiences of Enlightenment Throughout Time - And How You Can Cultivate Them, is authored by MUM's Dr. Craig Pearson. Dr. Pearson talked about the book this past Friday evening at Dalby Hall in the Argiro Center. This book is destined to become a landmark piece of literature for all interested in higher states of consciousness, and the experience of living it. Steven Verney and Cathy Gorini - Author Steven Verney is interviewed by Dr. Cathy Gorini, Dean of Faculty at M.U.M. on the KHOE radio program "A Chat with the Dean". Titled "The Best of all Possible Worlds" Steven Verney's novel is based on his experiences as a teacher of Maharishi Mahesh Yogi's Transcendental Meditation. Steven sprinkles gems of Maharishi's knowledge before the reader along with threads of life changing experiences many teachers of TM will relate to while going about the business of bringing enlightenment to the individual and the world and balancing life in the "real world". Readers have found it difficult to put down this well written book. Veda and Christianity - During the December Full Moon Celebration sponsored by the Ultimate Flying Club Dr. Ken Chandler spoke on "Veda and Christianity: Jesus's Teaching of Transcending and Enlightenment and How it Got Lost From Early Christianity" in Dalby Hall Tuesday Dec. 17th. Leigh Badgley and Jessica Keen - Award-winning Canadian documentary filmmaker Leigh Badgley sits down with MUM faculty Jessica Keen, in the home of the David Lynch Master's in Film, Headley Hall, Vedic City - and discusses interviewing as like falling in love, the connections between film and consciousness, and being a global citizen. Dr. Anil Mehshwari and Ruzanna Vardanyan - Dr. Anil Mehshwari, associate professor of Management Information Systems at MUM, talks about the successful on-line courses program recently started, and a complete description of just what Information Systems is. Professor Mehshwari also talks about the upcoming Dewali celebration, and its historical significance. 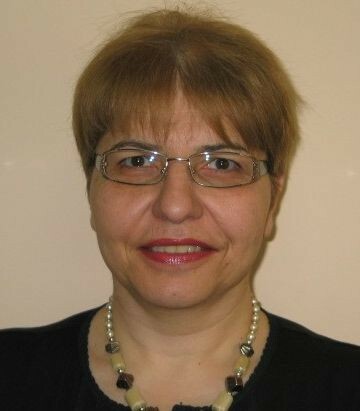 MUM's new librarian Ruzanna Vardanyan makes her debut on KHOE with a great description of her talented academic background including having initiated over 2000 people into Maharishi's Transcendental program. Dr. Ken Chandler, Veda and Greece - Veda and Greece: Foundations of Knowledge in the Experience of Higher States of Consciousness is the first of three volumes written by Dr. Kenneth Chandler. 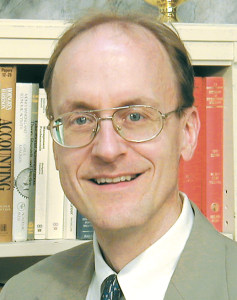 Dr. Ken Chandler, a distinguished scholar of both ancient Greek philosophy and Maharishi Vedic Science, discussed main themes of his new book, Veda and Greece - that the knowledge the pre-Socratics, Socrates, Plato, and Aristotle were offering was fundamental, eternal wisdom and that it was parallel to the teaching of the Veda and Vedic literature. Super Radiance - Why the Maharishi Effect is more relevant today than ever. Listen to this timely interview as a young faculty member delves into this contemporary issue with three community leaders. David and Cathy on Epigenetics - KHOE, World Radio 90.5 FM is broadcasting the program "A Chat with the Dean" this week with Dr. David Orme-Johnson as it's guest. Listen in to hear Dean of Faculty Dr. Cathy Gorini chat with Dr. Orme-Johnson about his latest research on the Transcendental Meditation and T.M. Sidhis program and the part that epigenetic s is playing in the unfoldment of deeper layers of understanding the effects and benefits of Maharishi's techniques. Rhoda on Poetics - "Dr. Rhoda Orme-Johnson on Poetics"
Recent MIU-MUM Literature Reunion speaking events are being broadcast on World Radio KHOE. The first one is former MIU Literature Chair Dr. Rhoda Orme-Johnson on Poetics, a few of her own poems, a word or two on her dissertation experience which included input by Maharishi, and the reaction to it, the rewards of jerks and jolts in writing and much more. Who could ask for more, an accomplished writer speaking on writing. That Reminds Me - Author and M.U.M. Publicist Norman Zierold, interviewed by Dean Cathy Gorini and station manager Stan Stansberry on his newly published book "That Reminds Me". Stan says: [This is] "a real-life adventure conversational memoir by our esteemed Norman Zierold. [Norman takes us from] "his hometown Amana Colonies, to the U.S. Navy, to New York City, to Hollywood, to finding Transcendental Meditation, teaching TM, and to the campus of Maharishi University of Management. Along the way he..interviewed and hob-nobbed with famous New York and Hollywood actors, writers and people like Barbara Walters". Literature Department Reunion - Former Literature department chairperson Dr. Rhoda Orme-Johnson, assistant professor Nynke Passi and Alumni officer Anna-Maria Petricelli (left to right-above) discuss the upcoming Literature department reunion this summer. They are interviewed by station manager Stan Stansberry. A link is also provided here to previous Literature Department Chair Dr. Susan Andersen's 4th of July radio program, celebrating the spirit of America's national holiday and the inauguration of the U.S. Peace Government by Dr. John Hagelin in July 2003. MUM Commencement - Recorded excerpts from M.U.M's commencement exercises held May 25,2013 in the Maharishi Patanjali Golden Dome. Iowa Senator Tom Harkin was the commencement speaker. Honorary degrees were awarded to Senator Harkin and to Dr. Nat Goldhaber (listen here), who co-founded the university with Dr. Keith Wallace, more than 40 years ago. Also included is Valedictorian Kelly Mae Heroux's address, M.U.M. President Dr. Bevan Morris's charge to the graduates, and excerpts from the Awards Ceremony held the previous evening. Yogic Flying Competition - In this lively panel discussion on Yogic Flying as practiced in the Transcendental Meditation Sidhi® Program, Vivek Vaidyanathan Of the Ultimate Flying (Student) Club at MUM interviews Dr.Rod Eason, Ph.D. in Maharishi Vedic Science, Rod Falk (pictured above right), veteran of many Yogic Flying competitions, and upcoming competitor and former MUM/MSAE student Sheer-El Cohen. Healing the Feminine Heart - A Bold New Prescription - Dr. Nancy Lonsdorf brought her years of Ayurveda knowledge to a SRO audience in Dalby Hall March 19th. She spoke about the do's and don'ts of diet,exercise & Ayurvedic approaches to the three aspects of heart health - the physical, the emotional and the spiritual. Dr. Lonsdorf was named "one of the nation's most prominent Ayurvedic doctors" by the Chicago Tribune. She is the former medical director of The Raj Ayurveda Health Spa, and of The Maharishi Ayurveda Medical Center in Washington D.C.
Why Our Brains Age: And What We Can Do To Stay Youthful - Dr. Alarik Arenander of the Brain Research Institute discusses his new course "Why Our Brains Age: And What We Can Do To Stay Youthful". Interviewed by Station Manager Stan Stansberry, Dr. Arenander assures us that knowledge, and following a few rules, is the basis of aging well - good advice on what to do, and what not to do to keep the brain healthy, the body strong and enjoy a fun-filled life.